I made another discovery in my cupboard: a bag of 500g of chestnut flour.... mmmmniam ... and this was destined to be in my next bread, so here it is. The bread was big. 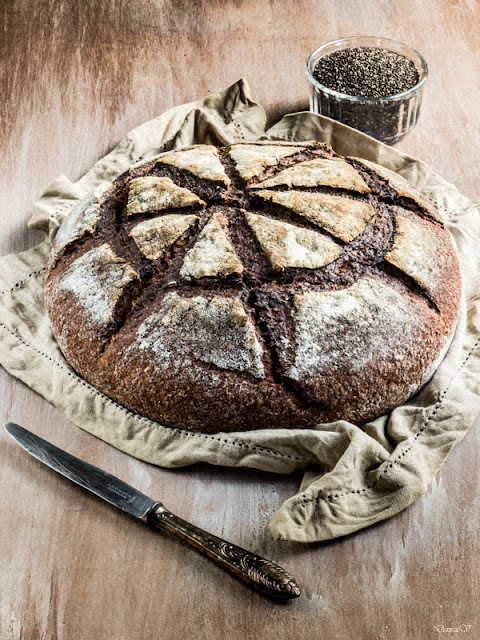 I chose to bake it in a dutch oven but now I think would have benefited to be divided in 3 and baked separately as the core of this big bread was a bit dense. But the taste... oh... it tastes like a cake. It is sweet even I have added no sugar. 7:50AM Mix all ingredients together for 15 minutes. 8:00AM Cover the bowl with a lid and let it stand at 21ºC for 6h. This is the bulk fermentation phase. 14:15 Shape a big boule with the dough. 14:30 Put the boule in a big round banneton and cover it with a linen towel. Let it stand at 21ºC for the final fermentation around 1h. 15:15 Reverse the dough in a big dutch oven pot. There is no need to preheat the pot or the oven. Slow rise of temperature will help the bread to rise slowly as well. Score the loaf with a blade and cover the pot with its lid. Bake it for 30 minutes at 265ºC. After these 30 minutes, reduce the temperature to 240ºC and continue to bake for another 30 minutes. This looks beautiful. I have some chia seeds I bought for chia pudding. I'm on a low-carb (but not no carb) diet right now. I was in the store the other day and really liking the looks of some rye bread boules but didn't buy them. If I can get myself sufficiently organized, I could try this. It looks wonderful. Susan, it is a very interesting bread and worth trying it ! Thank you for your comment. This bread looks incredible! 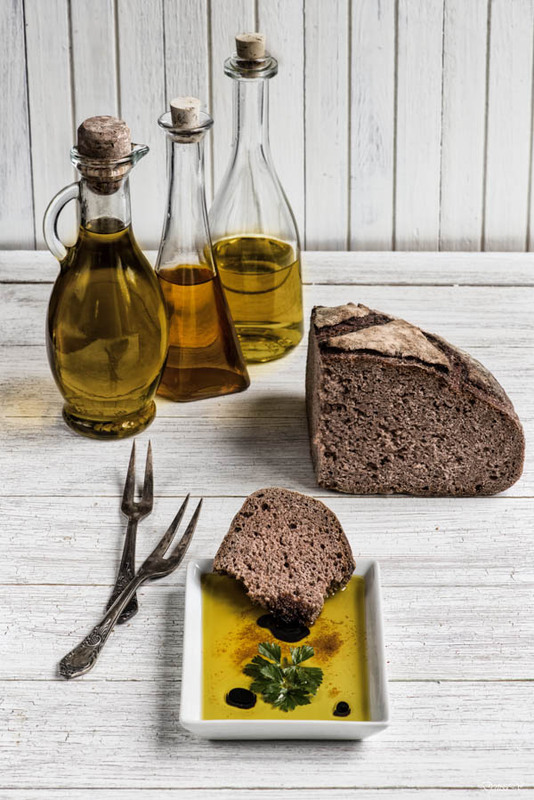 The use of chestnut flour and chia seeds is quite interesting and a great idea! Thank you, athletic avocado !